Never has there been a sport where a team’s future can change so quickly year after year after year. Just 12 months ago, the addition of Payton Pritchard seemed like a great get for Coach Dana Altman and his Oregon staff. A year after signing, Pritchard is the lone guard returning for Oregon. After all, they had Dylan Ennis, Casey Benson, and Tyler Dorsey, who could all play the point. And even if Dorsey chose to go to the pros, they’d still have Benson back for his senior year. Now all of them will be gone, and Pritchard is the lone returning guard at Oregon, of any kind. The guy everyone was excited about adding to the mix last year, is the mix this year. So Oregon enjoyed one year with a huge group of returning players and made it to the Final Four. 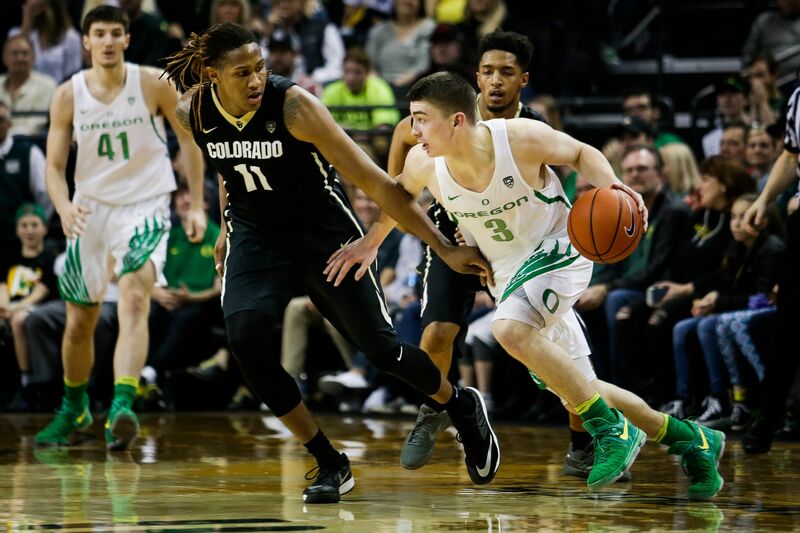 Coach Altman now starts from scratch, as he did for the previous six years, with freshmen, transfers and just two guys who played any real minutes. At least he’ll do it with an experienced point guard who can also be a coach on the court. Let’s look at everything he’ll bring and be asked to bring to the Ducks this next season. Here’s a strength nobody talks about. Whether he’s shooting well or poorly, turning the ball over, or handing out a ton of assists, Pritchard plays hard on defense. That’s a huge trait that most young players lack. They’ll play defense when they’re going well, but not when things go bad. If anything, Pritchard digs in deeper on the defensive end on his bad offensive nights. Watch as he fights over screens to ensure guards don’t get clean looks or a path to the basket. His lower body strength and wide shoulders make him a strong defender, and he was certainly better than most freshmen. Because of that, teams don’t try to post him up often when Oregon’s playing their man-to-man defense. He also does a good job of double-teaming down low and quickly recovering to defend the three-point line. Most of what people want to talk about is Pritchard’s offensive game. That’s fine, but his defensive effort this past year was tremendous and it didn’t fluctuate, based on how he played offensively. He averaged 3.4 rebounds a game last year — more than Dillon Brooks. His totals won’t have to go up much to make a difference. Because Pritchard does a great job of collapsing down to rebound — when he gets the ball, he is the outlet pass. Shooting 35% from three is just okay if you’re an elite shooter. It won’t get easier at the start of next season when he’s the most experienced Duck on the court. It will get easier when Troy Brown, Keith Smith, Paul White, Abu Kigab and VJ Bailey figure out their roles. VJ Bailey will likely play both the point and wing this year. After spending a year figuring out where everyone else liked getting the ball to shoot, Pritchard gets to do it all over again. That’ll be a learning process for everyone early in the year. He’s a great shooter when he can spot up. If Altman can figure out how to get him some minutes where he doesn’t have to bring the ball up, he can be a phenomenal spot-up shooter. His form looks better than Dorsey or even Joe Young’s at times. In fact, most of his misses, it seems, are when he thinks too much. In the catch-and-shoot game, he’s terrific. Few players have better reactive instincts for a true freshman point guard. Watch as he jump stops at the rim to let bigger players go past or get off balance, and then he just lays it in. Watch as he retreats on defense, cutting off cross-court angles to defend the break with his positioning, as well as his hustle. His basketball IQ, as they call it, is nearly off the charts at times. 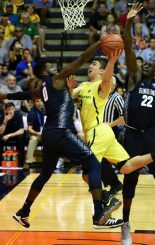 Pritchard’s biggest weakness is when he falls into the trap of dribbling around to try to create the perfect opening for himself or a teammate. He’ll be even more tempted to do it next year. Having spent his entire life setting up everyone off his dribble, he doesn’t have to anymore. Altman’s high-post weave offense allows everyone to touch it and look for the right spot to attack. Pritchard needs to start the offense immediately and force the defense back on its heels with the involvement of the entire team. Brandon McCoy’s last visit was apparently with Michigan State coach Tom Izzo. Spartan fans thought he was going to commit because he was reportedly back in Michigan a second time last week. Turns out he was just transferring planes at an airport. McCoy was, it seems, with coach Izzo at the time Jordan Bell announced he’s turning pro. Wooten has explosive leaping ability and length to guard shooters and post players. Forward Kenny Wooten appears to be close to making a decision. 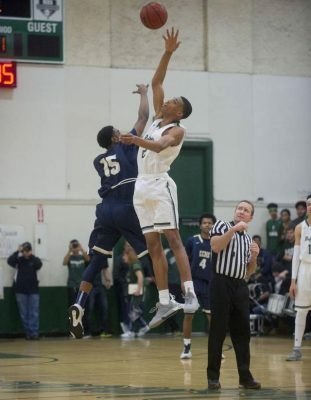 Oregon is thought to be the front runner for the 6′ 8″ Wooten, who was committed to Arizona State until just a couple weeks ago. 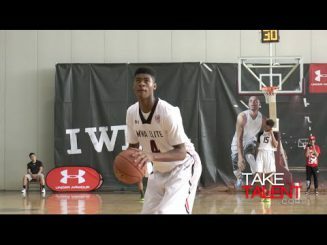 Wooten is considering Oregon, St. John’s and Arkansas as he decides where he’ll wind up. Graduate transfer Elijah Brown tweeted this about Oregon softball player Nicolette Udria on April 16. He’s right, she is a superstar. No idea how they’re connected. Until recently though, the Ducks softball team was destroying opponents three times a week on the Pac-12 Network. Brown’s shooting is good but not great, but he gets to the line a lot, shoots more than 80% there and is a terrific rebounder for a guard, grabbing more than five a game last year. Kavell Bigby-Williams has also asked for permission to seek a transfer elsewhere. Bigby-Williams hasn’t said that he will transfer, just that he’d like to consider it. Reports are that he wanted to red shirt this past season, but the Ducks staff didn’t want him to. The red shirt would let him work on his game for a year, then return more prepared for his senior year. Bigby-Williams seems to be the opposite of many young players who are focused on getting to the professional ranks fast. He wants to improve his game as much as possible before he runs out of eligibility. A totally different approach and one that’s actually kind of refreshing.